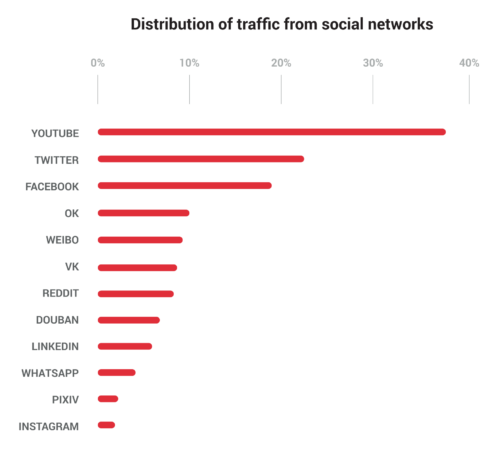 The distribution of cryptocurrency exchange traffic from social networks is heavily skewed towards YouTube according to a new report by BDCenter. YouTube likely leads the way because of referral links, which incentivize content creators to make convincing videos. YouTube is followed by Twitter and Facebook.